URBAN 360º, the blog curated by Pablo Sánchez Chillón, Urban Planning Lawyer, International Speaker, Researcher and CEO and Co-founder of Eolexcitylab, Urban Innovation Lab & Think Tank (Spain). October starts with an stimulating (and innovative) Italian fragrance for Eolex Citylab that will drive me to Pisa and Bologna (with a challenging stopover in Vienna –which I will describe soon here) to join as an Speaker two of the coolest events that will be held in the Autumn Season in Italy, the upcoming Internet Festival in Pisa -‘Shaping the Future’ and the Smart City Exhibition of Bologna. In both events, -using different practical approaches-, I will try to dig into the context of the brand new sociability that defines the contemporary urban living (characterized by the vanishing of the limits between the real and digital city and the people’s massive stampede towards the hyper-real life of social networks)– and the contrast with the progressive lack of interest of urban dwellers regarding territorial matters (the decline of the physical city), remarking the upcoming challenges for Urban Planners and Policy Makers in designing and managing contemporary hyper-social (digital) cities. The question is: How to design and activate our real cities when people are living in social networks? At the Internet Festival 2013 in Pisa (#IF2013) Incubator is the keyword. From October 10 to 13, the city of Pisa becomes an open theater for urban and social innovation and a Lab-like community glued by the Internet Culture. The Internet Festival will explore how new information and communication technologies are like a soil capable of creating a fertile landscape for the development and growth of ideas, inventions, opportunities, products, services and start-ups, whilst also easing the current crisis, pointing the way for shared development and representing a sustainable future. Entrepreneurs, institutions, venture capitalists, universities and research centres will meet and present their projects and case histories over four days in around twenty venues across the city of Pisa. The intense Program of that young event relies on the several subject areas, from Internet for makers and tellers, to the topic of INTERNET FOR CITIZENS, providing the frame for my intervention in Pisa. Following the explanation given by the organization of the event, “The objective of the citizens’ area is to pin down matters concerning social innovation, understood in terms of improving the quality of everyday life through the innovation of the Net. The topic of Smart Cities will be considered from citizens’ points of view, who are both the users and the protagonists of the technological innovations changing daily life”. The topic of the “Internet for Citizens” matches perfectly with the definition of Citizentrism, or Citizentric focus associated to my vision of a Smart City. The concept look at contemporary cities as ground zero for digital innovation and vibrant places for the meeting of talent, knowledge exchange and civic engagement, harnessing the links between place, technology, community and identity. Citizentrism stresses the need for public and private stakeholders to put the citizen at the heart of any Smart City project, counterbalancing technocratic visions of cold and inhumane cities. But, what is equally important, Citizentrism is also the qualified condition of citizenship in the Smart City. Being an smart “#Digizen”, the DNA of the intelligent citizenship; the Citizentrism. On October 13, meet me joining the challenging session called “SMART CITY, RESHAPING THE CITY LIFE”, talking about Hyper-connected spaces, new urban sociabilty, what role for Policy makers and #Digizens in the forthcoming Smart Cities. My colleagues at the round table will be (Chair) Dr. Maurizio Ricci, Iñigo de la Serna (Mayor of Santander-Spain), Michelle Vianello, Franco Accordino, Samuele Astuti and Alex Giordano. The future is reshaping city life. A multi-dimensional strategy is being proposed that will not only affect town planning and infrastructure, but also education, social cohesion, transport, climate and security. 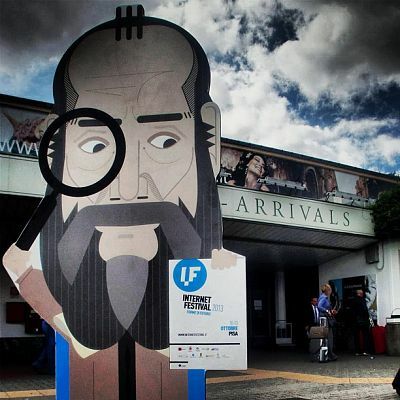 In #IF2013 we will observe and discuss, providing examples and case histories, the new paradigms that will be used to reshape our cities and the lives of its citizens. In that context, policy making becomes so important for innovating and compete in the global arena of hyper-connected cities and territories. Politicians and Smart City stakeholders must have a positive attitude towards innovation and reasonable risk. The Smart City Plan needs to be built on three solid pillars: Vision + Project + Communication Campaign. Things need to be explained, and the sophisticated jargon in hands of the Smart City scholars is often hard and complicated, allowing critics to label the Smart City projects as arrogant and detached from the community aspirations. A Mayor in search of new global opportunities for his city and planning to move to the Smart City paradigm, need to keep his hands firm on the wheel, but also to start questioning openly about the identity of the city, getting a proper feedback from the community regarding the common aspirations and their limits, trying to maximize the space for civic engagement from the very beginning of the project. The Smart Cities agenda –often framed by the portfolios of the ICT companies- is increasingly characterized by a sort of blind race to deploy high-tech infrastructures to cope with the current problems of our overcrowded cities, with a myriad of local governments managing growing expectations and limited resources. When the stakes are high and the need of become more efficient and sustainable meets the will of improving the quality of life of urban contexts, there is a risk of being dazzled by the shine of the brand new urban technology, making expensive and wrong investments in infrastructure for your city that could ruin your budget. For that reason, we at Eolex Citylab consider cities as complex ecosystems and sophisticated political arenas, full of educated citizens that interact across the different layers of the urban experience, evaluating the decision-making processes on real time. For that reason, infrastructure (often expensive and disruptive) is crucial in the road to the Smart City, but the top-down tech visions lacking of a project and neglecting vertical consensus about the future of the City are doomed to failure. The 3/3 Rule for Smart Cities is simple: instead of falling into the mistakes of the early days of the ‘smart cities tide’ -three years ago-, where tactics (the trap of investing in whatever smart infrastructure) were winning over Strategies (the 360 degree and multi-scale vision of the future of the city facing lower expenses while improving the standard of living through technology) it is time for municipalities to design their Smart City project while explaining it properly to the citizens, getting quick wins by engaging urban stakeholders through ‘smart’ communication campaigns. The challenge is stimulating, as we live in the age of the Hybrid City and the new Sociability, -notably in digital layers- characterized by the thriving life in Social networks –full of social super-heroes and egocentric identities and patterns– that contrasts against the progressive collapse of physical interaction in the real spaces of our cities. Clearly, the real boundaries of our cities are fading while a new class of citizens moves freely on digital networks, beyond the territorial space traditionally understood as the city, and, what is cause of a rising concern, far from civic-minded activities. Although cities are under great pressures, struggling with budget cuts and outdated technology, it is crucial for them to engage the future generation of citizens, familiar to technologies and prone to evade from the territorial matters by meeting people in ubiquous and non-placed networks. Again, it is the time for #Digizens, new ‘digital-citizens’ and we will find them in Pisa. The context of the brand new sociability makes more and more complicated to plan our contemporary and hyper-connected cities using the knowledge and tools of the pre-internet era. In Pisa I will try to respond to the question about how to design and activate our real cities when people are living in social networks? My second commitment with the Italian arena will be materialized not far from Pisa, 3 days later. 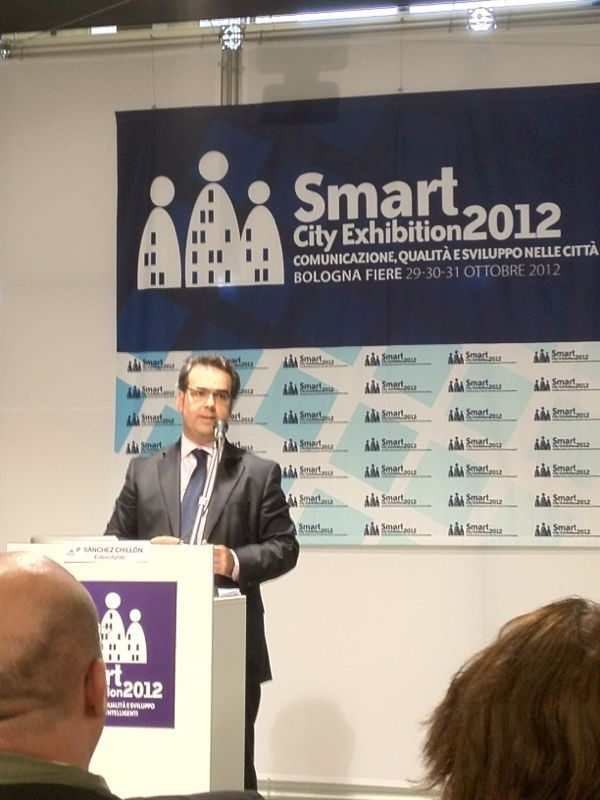 As a member of the Steering Committee of the prestigious Smart City Exhibition of Bologna -which I attended for the first time last year with a Keynote aobut the 360º of a Smart City- I have been invited to join two different sessions in this year’s edition of the most important meeting about urban innovation and Smart Cities in Italy, having the opportunity to meeting with the educated and engaged Italian audience, feeling, somehow, that my love and respect story with the country -backing to my Erasmus time on 1995 in Rome, will last for the next years. The Scientific Director of the #SCE2013, Claudio Forghieri (smart and devoted scholar) proposed -and I accepted – the challenge of participating in two sessions on October 16, sharing my view and the work developed by Eolexcitylab during the last years in the Smart Cities field, returning to Bologna, after my participation in the first edition in 2012. The First session in which I will be partaking in, named “Sustaining human Smart City: Sharing, collaboration, community-based Innovation” will gather Jesse Marsh, Alvaro de Oliveira and myself, after the keynote of Douglas Schuler, to discuss about the Challenges of Human Smart Cities, with the focus in my intervention in the Role for Policy Making in Smart Cities. I do like the topic -most of our consultancy work on urban innovation is being developed among politicians and public institutions- and will try to share with the audience an optimistic vision about the role of Politics (and #Digizens) in deploying a succesful Smart City strategy. The concept of Smart City looks at ICT convergence as instrumental to gain efficiency and effectiveness of urban systems and services. For long this convergence has grounded big promises, such as: smart grids for better use and distribution of energy, reduced congestion of public transport networks, intelligent waste disposal and differentiation systems. For sure, the dominant approach to Smart City development is centred on large scale urban deployment of sophisticated digital solutions, turning “non intelligent” into “smart” infrastructures according to the logic of ubiquitous computing. However, a different vision has been launched during the Forum PA 2013 event held last May in Rome with the Human Smart Cities Manifesto. My colleague Alvaro de Oliveira with the team of the Peripheria Project, launched in june 2013 in Rome (Forum PA) the “Human Smart Cities Manifesto”, that considers “Human Smart Cities as those where governments engage citizens by being open to be engaged by citizens, supporting the co-design of technical and social innovation processes through a peer-to-peer relationship based on reciprocal trust and collaboration. 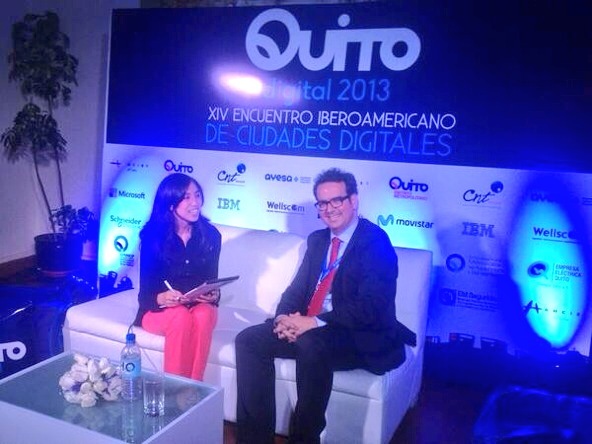 The Human Smart City is a city where people – citizens and communities – are the main actors of urban “smartness”. A Human Smart City adopts services that are born from people’s real needs and have been co-designed through interactive, dialogic, and collaborative processes. In a Human Smart City, –Oliveira explains- people are not obliged to adopt technologies that have been selected and purchased by their municipal governments; they rather are encouraged to compose their own services using available technologies in simple, often frugal solutions. Co-creation initiatives at the heart of the Human Smart City concept also stimulate local development, creating new business models and new apps, products, services and solutions. Indeed, the solutions for the big challenges of our time require not only innovative technologies but, above all, mass behaviour transformation of the kind that can only be achieved through the involvement of people. Through the appropriate governance of social and technical innovation and the integration of Future Internet technologies, Living Labs and Social Innovation, the Human Smart Cities vision aims to build on a new sense of belonging and identity, wellbeing and community, to shape a better and happier society”. In such a perspective cities aiming to be humanly smart are required to develop new abilities in policy making so to be able to integrate in their visions and plans innovative forms of democracies and economic frameworks that are showing to be responsive to nowadays city challenges. This session is aimed at discussing the above themes. Again, the Human Manifesto matches with my understanding of Citizentrism, putting people first. My second session -in the afternoon- is called “Citizens in Game: Techniques and experiments of Gamification in the City”, with the moderation of Gianni Dominici (Forum PA) and the co-speech of Fabio Viola. Increasingly being used in the products and services marketing, Gamification proposes the use of mechanical and dynamic game in contexts external to the playful, to create interest or solve problems. But can we use points, levels and rewards to stimulate, nourish and make sustainable the processes of civic participation in the creation of public value in the life of our cities? There are several cities that are working on this setting, reversing the approach to the care of the common good: from the punishment for deviant to the premium for the virtuous, through the creation of community and shared purpose. Even in Italy have been started first experiences. In this workshop we face approaches, perspectives and experiences through keynote of experts, presentations of experiences and collective processing. Are invited to attend directors, designers, citizens, designers, experts and enthusiasts. Some time ago, I wrote a successful post about “Gamification for Smart Cities: If Urban Life is a Game, Smart Cities are the Playgrounds” where I pointed out the opportunity of using ICT for making cities reactive places, hackeable spaces where citizens could interact with the urban hardware, improving the daily experience of living in a live city. After that, Who says that Smart Cities must be boring places? Bologna will give us the opprtunity to listening the keynotes of my brilliant friends and colleagues Carlos Moreno (from Paris) and Juan Pablo Espinosa Burgos (from Quito), to say hello to some virtual friends like Daniel Sarasa (Etopia, Zaragoza & Openyourcity.com) and to meet and discuss with national Italian and international experts, with the astonishing city of Bologna as the perfect scenario for that days of permanent learning. 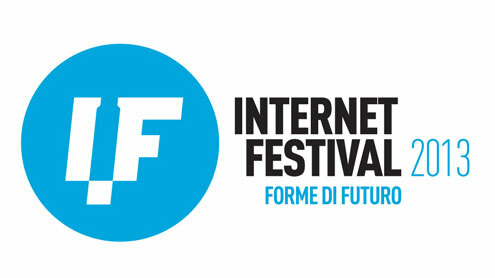 Stay tuned to the current edition of the Internet Festival in Pisa and the Smart City Exhibition in Bologna and support us by joining the debate through the social networks (Twitter hashtag #IF2013 and #SCE2013). è mirabilmente sviluppata da un professore italiano di urbanistica che si occupa da venti anni del rapporto fra innovazione tecnologica e città. Io ho letto alcuni suoi libri e articoli e sono un suo studente/fan a Napoli/Benevento e penso che sarebbe interessante creare un contatto fra voi. Il suo nome è: Romano Fistola e trovi in rete molti suoi riferimenti.